Hydrocephalus (water on the brain). 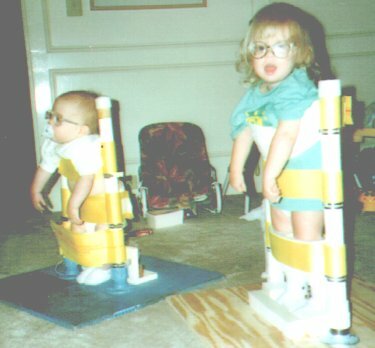 Fluid was building up in her head and putting pressure on her brain.causing additional brain damage (cerebral palsy). Her doctor. neurosurgeon. installed a pump (VP Shunt) inside her head/brain to drain the fluid into a tube that runs from her head, down her neck.and into her abdomen, where it can be absorbed and discarded from the body. When I was pregnant with Chelsea. 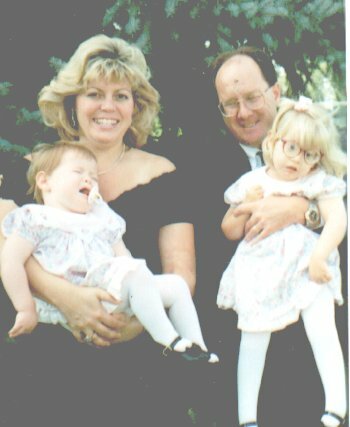 a sonogram was done on me at 5 months of pregnancy to confirm that Chelsea also had Hydrocephalus. A VP shunt was not installed until 10 days after she was born. 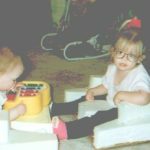 Jessica has a severe problem seeing, but with her past vision therapy and eye glasses it appears she is seeing much better, but no way near normal. She is extremely nearsighted (myopic), has crossed eyes(strabismus) and the back of her retina is very pale (no blood vessels). We notice that she still has trouble judging the distance of objects. Chelsea has all the same eye problems, but in addition, she has a very small right eye that had a retinal detachment. 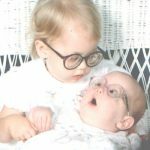 so she had 3 surgeries on this eye, before she was a year old to help the retina re-attach. She can only see light and shiny objects. Both girls are legally blind. Jessica has tightness (high tone) in her arms and her feet turn inward, of which, is known as cerebral palsy. Jessica has had many surgeries to try and straighten her feet. from heel cord lengthening. Botox injections (injection of a poison into the muscles in her legs to break down the nerves around the muscle, so the muscle relaxes, and the foot can straighten). Rhizotorny (cutting the nerves, at the base of her spine. that trigger the tightness in her lower legs and feet) and a posterior tibia relocation (moved the tendon on the inside of her foot to the outside of her foot). She has also worn AFO’s all of her life. Chelsea only has tightness in her right arm and her trunk is extremely floppy. When Chelsea had her MRI done, due to the prolonged seizures, is when we finally got a diagnosis. 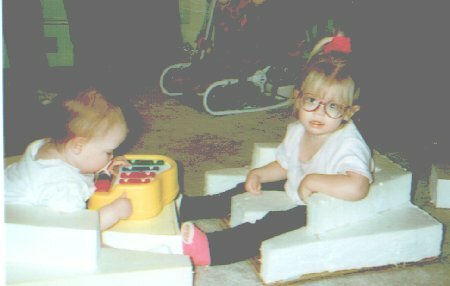 Jessica was about 3 yrs old and Chelsea was 2 yrs old at this time. 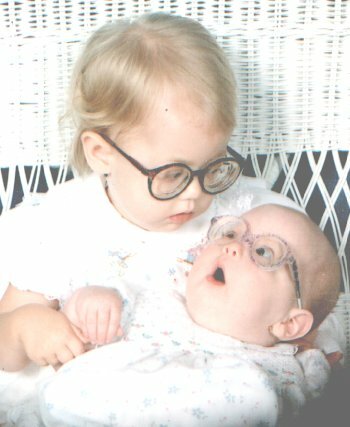 They are diagnosed with a very rare muscle eye brain disease (MEB), known as Walker-Warburg Syndrome (WWS). This syndrome includes Hydrocephalus (water on the brain), Lissencephaly (smooth brain). other brain abnormalities. eye problems, and a muscle disease. 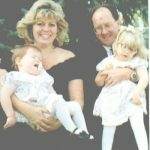 The doctors think it might be genetic since both Jessica and Chelsea have the same diagnosis and both parents carry: the same bad gene. We have found a doctor. Dr William Dobyns, in Illinois that is studying the disease the girls have. The doctor has taken blood samples from Jessica, Chelsea, and both parents to study for the next 5 years. Hopefully, he’ll be able to figure out what gene or genes has caused the syndrome. skills along with delay in their speech. 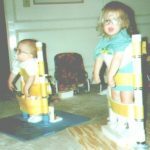 Both girls have been receiving vision, occupational speech and physical therapy, ever since 3 months of age. Both girls attend a half day, 5 days a week special education class at the Lago Vista Elementary school, Texas. They both first learned to communicate with sign language (all done and more) They can shake their head yes and no, and they can say “mama”. Both girls can roll over. Jessica can sit by herself for about 2 hours, but she gets very tired and will fall over. Chelsea can walk in a gait trainer (support around the trunk), but has no interest in sitting by herself. They can both feed themselves finger foods, but need help with soft food and drinks. We belong to the Lissencephaly Network where we receive a quarterly newsletter about other children like ours. It doesn’t cost anything to join and the newsletters are great to receive, and lots of times contain pictures of the children like ours. Please contact Dr William Dobyns if you’re interested in a confirmed diagnosis of WWS or MEB and would like to help out with the genetic study. Also please call the Lissencephaly Network for your free quarterly newsletter. Please email me if you have any questions or just want to talk.